The seed pods of the Australian Sheoak may seem woody and boring to us. 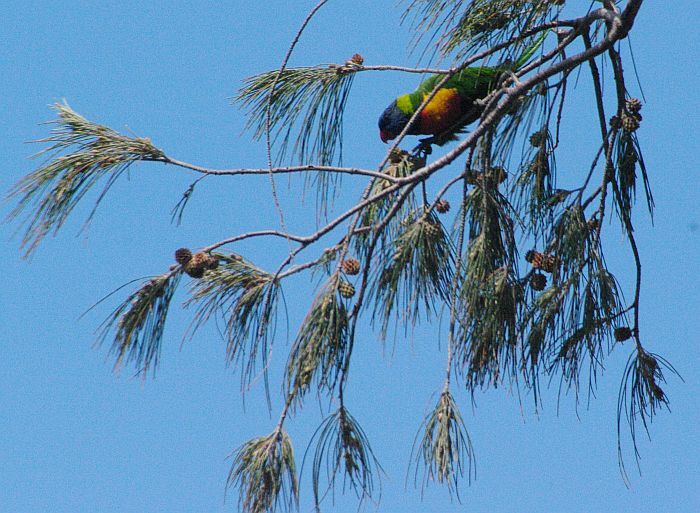 But they are a delicious food source for this Rainbow Lorikeet. What seeds do you have to share? I’m not sharing my seeds, they’re mine all mine!